Signs that the OPEC-led output cuts are having a positive effect on the global oil glut saw prices of crude reverse Tuesday. Prices had declined in earlier trade amid fears that increased US production may reduce the reductions elsewhere. While that risk remains, the other exporters’ cuts are in roughly in line with expectations. The energy group led the gains on the main TSX index with a 2.7 per cent rise but every sector was higher although by less than 1 per cent in each case. The overall index closed more than 130 points higher. Wall Street also ended the session higher with the materials groups pushing the Nasdaq and S&P500 to new record highs. Europe was generally higher while Asian markets closed mixed. President Trump has overturned his predecessor’s veto of TransCanada’s Keystone XL pipeline project Tuesday but with the condition that it must be constructed from US materials. He also approved the Dakota Access pipeline. 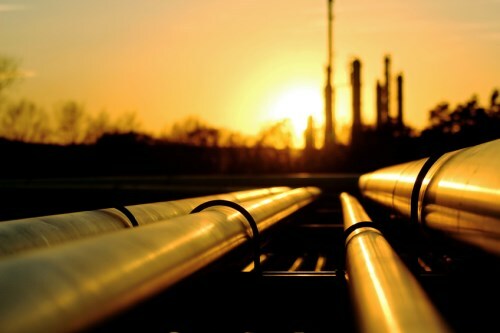 While there will be a renegotiation of the terms of the pipeline, the change of policy from the White House was welcomed by the federal government. "It's a good day for Alberta and a good day for Canada," Natural Resources Minister Jim Carr told Global News. The Trans-Pacific Partnership will live on without the US, Australia and New Zealand said Tuesday, but Canada doesn’t agree. While the two Asia Pacific partners vowed to keep the deal alive by inviting China and others in the region to join, Canada’s foreign affairs minister Chrystia Freeland told Reuters that the deal as it is requires ratification by the US. Home prices in the Greater Toronto Area continued to rise sharply in the third quarter of 2016, up 18 per cent from a year earlier, the CMHC said. Those cities that are within commuting distance of Toronto are starting to feel the heat too, especially Hamilton, Barrie and Guelph. Although not a prediction, CMHC scenarios suggest that if the GTA was to see a 10 per cent rise in prices, there could be a 14 per cent rise in Hamilton and a 10 per cent drop in GTA prices could see Hamilton homes lose 14 per cent of their value.